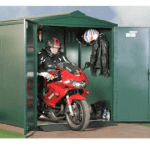 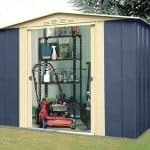 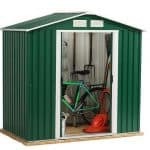 This lean to metal garden shed is a useful addition to your garden in that it is both space saving and also cost-effective. 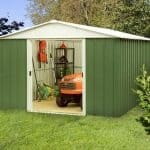 Once leant against the wall, it can accommodate a number of garden tools and items of equipment. 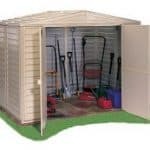 One of the best things about the product is that it is also available in four sizes, so you can quite easily accommodate it into your overall garden storage plans. 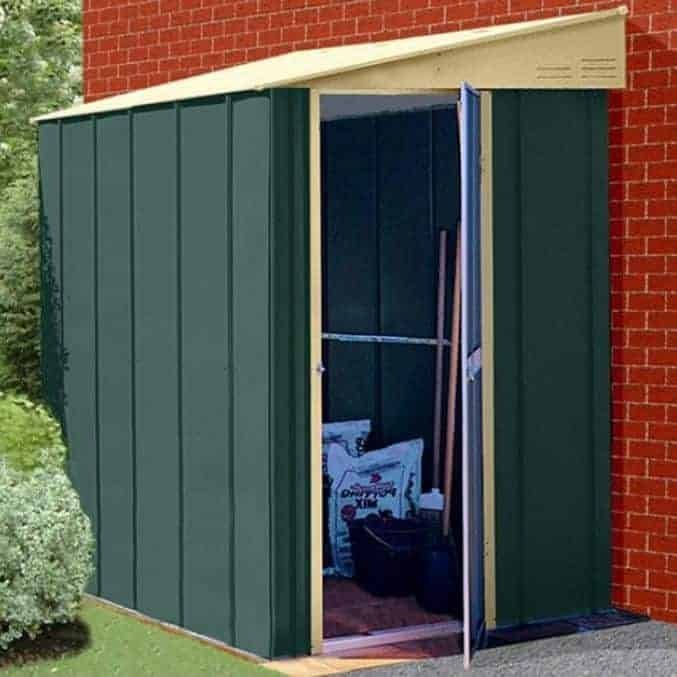 The shed has been crafted from galvanised steel, which means that it is particularly resistant against the effects of rain. 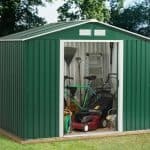 This means you have a shed that is built to last, and also one that is easy to install in most gardens.